Haploview is designed to simplify and expedite the process of haplotype analysis by providing a common interface to several tasks relating to such analyses. PLINK/SEQPLINK/SEQ is an open-source C/C++ library for working with human genetic variation data. INRICH is a pathway analysis tool for genome wide association studies, designed for detecting enriched association signals of LD-independent genomic regions within biologically relevant gene sets. GPC is an automated power analysis for variance components (VC) quantitative trait locus (QTL) linkage and association tests in sibships, and other common tests. GRAIL is a tool to examine relationships between genes in different disease associated loci. DAPPLE stands for Disease Association Protein-Protein Link Evaluator. XHMM is a C++ software suite was written to call copy number variation (CNV) from next-generation sequencing projects, where exome capture was used (or targeted sequencing, more generally). xBrowse is a software tool we use for searching for causal variants in Mendelian disease families. LOFTEE is a plugin for the Ensembl Variant Effect Predictor that improves the detection and filtering of candidate protein-truncating variants. igv_plotter automates the generation of IGV screenshots for sequencing reads at variant sites of interest. exac_browser is the code behind our ExAC browser. clinvar provides tools to parse NCBI’s ClinVar database, and a flat file representation thereof. 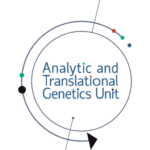 gene_lists is a collection of gene lists for genome-wide analyses. minimal_representation is a collection of scripts for canonicalizing the representation of genomic variants. denovolyzeR is an R package for testing the gene-wise burden of de novo variants in disease families compared to random mutational expectations.